Rustam Kasimdzhanov. Born in 1979, the grandmaster from Uzbekistan has for many years been known as a very strong and imaginative player. 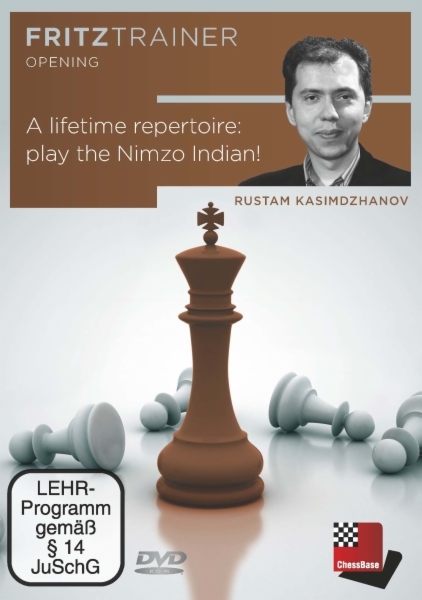 However in 2004 Rustam Kasimdzhanov (pronounced “Kah-zeem-jha-nov”) shocked the chess world by winning the FIDE world chess championship title, beating a string of world-class players like Ivanchuk, Grischuk, Topalov and Adams in the process. Kasimdzhanov is a very deep player, who is able to explain chess ideas in an eloquent, lucid style, with a fine touch of humour. His lessons are both entertaining and instructive – perfect for students who seek to avoid “dry” theory. Kazimdzhanov was a second to Vishy Anand in three world championship matches and he is the second and trainer of Fabiano Caruana.